Sometimes it takes an outsider to discover truly innovative marketing tactics within a certain industry. Take marketer and entrepreneur Dan Henry. By this point in his career he’s done just about everything you can do in online marketing. But when he first started out, he was simply looking for an escape route from his job delivering pizzas. His first attempts at affiliate marketing led to several successful e-commerce and brick-and-mortar businesses, which eventually led to managing complex campaigns for all sorts of clients looking to get leads more effectively online. One of Dan’s recent clients was a real estate company looking to sell out a large new condo development—and that’s where Dan got really creative. Dan himself has provided one more special resource for you to take away from this post, so keep reading to make sure you get everything you need to take action on the insights you’ll find here. The usual thinking on selling homes goes like this: list your properties everywhere, hold an open house, and make sure tons of people show up to increase your chances of finding buyers fast. To Dan Henry, that seemed downright inefficient. “I’m the king of unusual. I do not do anything like anybody else,” he proclaimed when I spoke with him to find out more about his campaign. In this case, rather than reaching for standard real estate marketing tactics, he got inspired by another industry: nightclub marketing. Before taking on clients, Dan had used Facebook ads to successfully launch new nightclubs, and he saw an opportunity to reach this real estate company’s target audience of millennials and downtown professionals with some of the same strategies. With this strategy, Dan transformed the standard sales process. Instead of being shoppers subjected to a pitch, customers became prospective party guests hoping for an invite. The opt-in button became a velvet rope—and all they needed to do to reach the other side was provide their contact information. 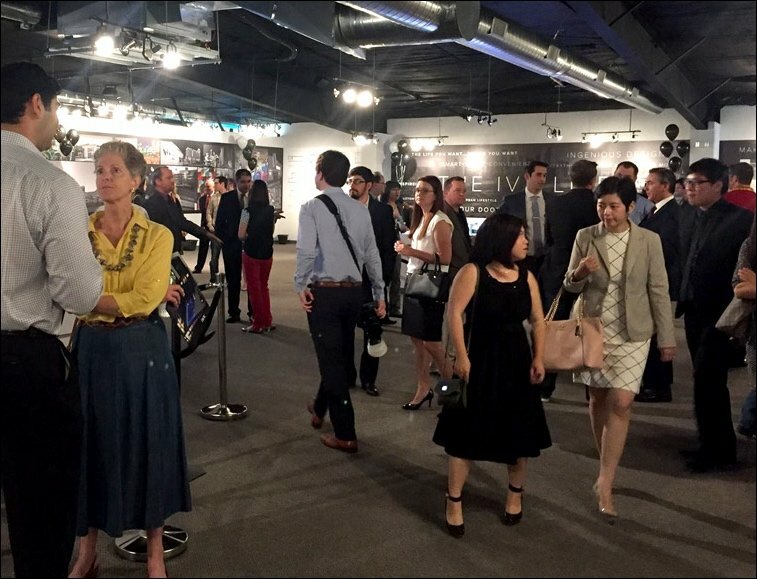 Before this point, however, Dan had to spread the word about this exclusive VIP event to the right audience. And for this, he exclusively used Facebook Ads. That was an especially smart choice due to the platform’s advanced targeting. Dan started by setting up audiences for the two groups his client was most eager to attract: millennials who lived in apartments nearby, and well-paid professionals, such as doctors and lawyers, who worked downtown. Young apartment-dwellers saw ads reminding them that they could be putting their rent money toward owning a home, while nearby professionals were targeted with more general messages about the new convenient and luxurious housing option they now had close to their jobs. “It’s not just about getting these leads, it’s about figuring out who buys the most. So say you sell 10 condos to millennial apartment owners, and your average lead cost is $2. But if average lead cost is $10 for a doctor, but doctors bought 30 condos—I would rather pay the $10 and sell more condos. That cost per lead is not that big a difference when you’re selling something that’s so high-ticket. In the first phase of this campaign, Dan spent $441 on ads—which led directly to $900,000 in condo sales. Those buyers started as cold traffic on Facebook and ended up as VIP event guests—and, eventually, homeowners. Let’s take a closer look at what happened in between. In fact, the templates themselves got notice when he started using Leadpages to promote his webinars—“I paid for my Leadpages membership in about 24 hours,” he said. Attendees would ask him what software he used to create the webinar page, and he had his Leadpages affiliate link at the ready to give them so they could try it themselves. Leadpages’ Lead Notifications feature was also useful to Dan in this campaign. The client wanted to use their own ESP and handle follow-up on their own, so once someone opted into the landing page, Dan would automatically receive an email with their contact data that he could simply forward to the real estate company. From there, the company could reach out however they saw fit. It’s an important lesson: when you’ve constructed a sequence that works, make sure you’re preserving all its most effective elements when you scale it up. “Everybody wants to hear about this campaign because of the amount of money it generated,” says Dan, but he notes that it’s not the only successful strategy he employed for this client. After the initial week and the high-converting VIP event, he kept fine-tuning his approach, targeting slightly different audiences, and setting up opt-in pages for downloadable resources specific to the condo development. If he had to do it all over again, there are a couple of changes he’d make. If it were up to him, real estate agents would be calling new leads to confirm their RSVP and remind them about the event—something he thinks could have dramatically increased event attendance. He’d also make sure staffing levels on the client’s side were sufficient to handle the volume of new leads coming in. Being overwhelmed by leads is a pretty good problem to have, but it’s a problem nonetheless if you miss out on opportunities just because there aren’t enough hours in the day. Despite his remarkable success, it’s likely Dan will be handling fewer campaigns for clients in the future. After applying many of his favorite Facebook marketing strategies to promoting his own webinars, he’s planning to shift more of his attention toward educating other entrepreneurs. 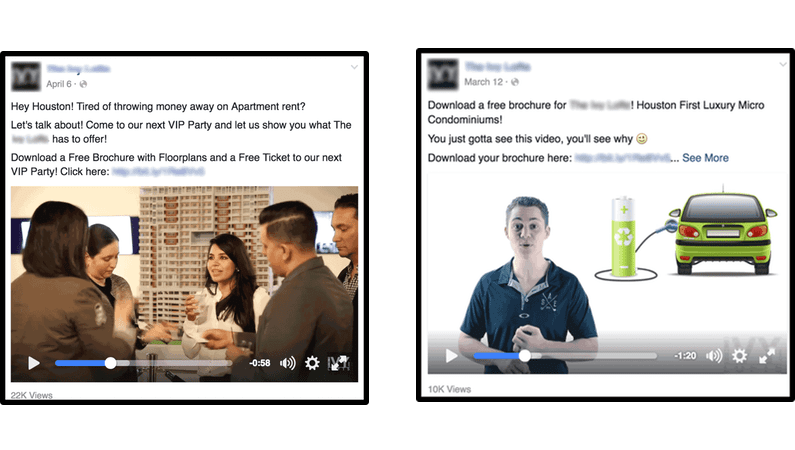 Soon he’ll be releasing a course called Facebook Ads for Entrepreneurs, but in the meantime, he was happy to share a few words of advice for real estate marketers who want to try a similar campaign. Underlying everything Dan’s done is a laser focus on customer psychology. He doesn’t geek out on conversion-rate optimization strategies; he’s not one to snap up shiny new tools that promise the possibility of a few new leads here and there. As a consequence, his advice is easy for even newer marketers in less digital-savvy industries to grasp and use—because anyone has the ability to research and discover what motivates their desired customers. Follow the “Rule of 10:” Sometimes the insights that seem simple turn out to be hard-won. 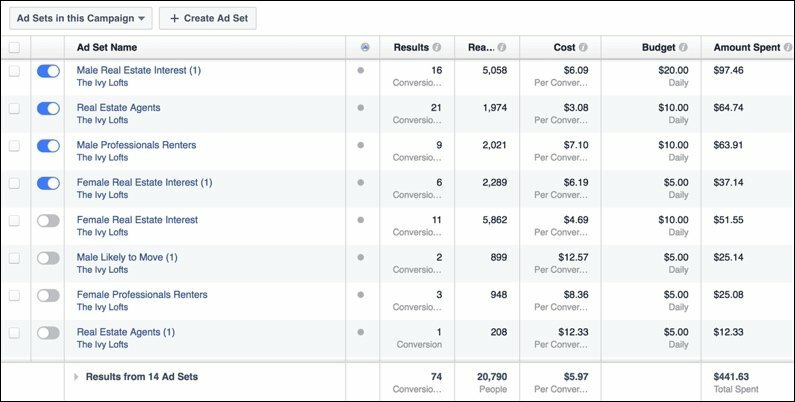 Dan didn’t come up with his winning formula overnight.“I spent $16,000 over the past few years figuring out Facebook ads with trial and error,” he says. “At the end of the day, I realized: it’s not about the Facebook ad, it’s not about the button. It’s about your customer. I call it the Rule of 10: the ad itself is only responsible for 10% of the success or failure of a Facebook ads campaign. Instead, focus more on the 90%”—that is, crafting an offer your customers will truly want. 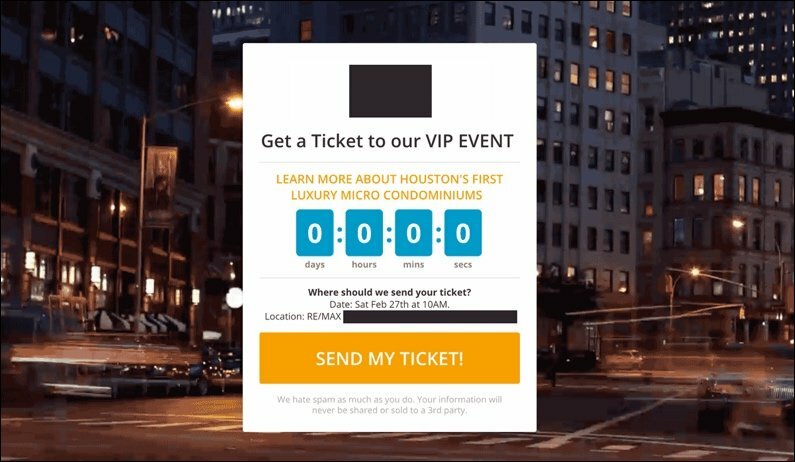 Use early successes to improve your campaigns: “We actually got some footage from the first VIP event, and I edited it together and used it in a promotional video,” Dan says. Whether you’re shooting video, collecting social media comments, or simply receiving testimonials from your first few clients, you can often make immediate use of them by incorporating them into your landing pages or ads. Then, watch your success snowball. Have you discovered any unorthodox real estate marketing techniques that work online? Share them in the comments!